A background verification / research / investigation, also known as background check or an investigation of an individual regarding his/her employment, criminal or educational past typically starts by identification of the best appropriate source records which can be identified through online suppliers, local government facilities, regulatory agencies. While many records are public (free or paid access), the same many are deeply buried in the vaults of the “unknown database” , i.e. they are free and public, but it takes a good investigator with a relentless wish and determination to “dig & sift”. More so in Romania, where databases are not the norm. The information uncovered may have different meanings to different people. While a convicted individual is typically a significant red flag to any client, a prospective employer or a human resources agency may be also concerned about hiring someone for a finance/accounting position with a shady past such as a bankruptcy filing or embezzlement accusation in the past, or finding that a potential senior executive knowingly falsified his/her education credentials. In addition, an attorney client may be equally concerned about a “serial” plaintiff or an “expert witness” who had never testified in open court. A professional private investigator with extensive experience in conducting due diligence investigations and comprehensive background investigations can put these records into context to assist clients with making better informed decisions. A comprehensive background investigation of open-source records can identify substantial information about a subject’s past, but the findings (good or bad) don’t always tell the whole story. Thorough analysis of this data by only a trained professional investigator can assist you to understand the findings to help you make informed decisions or avoid disastrous ones. 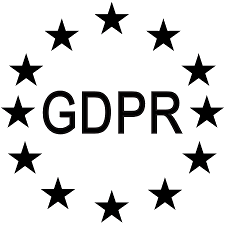 We are fully compliant with the regulations of the new GDPR 2018, during all stages of a pre-employment check or individual background check. Internet and databases is a must, but nothing beats an agent with pro-active approach, patience, trained and discrete.